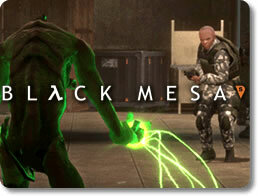 Black Mesa Source Game - Download and Play Free Version! 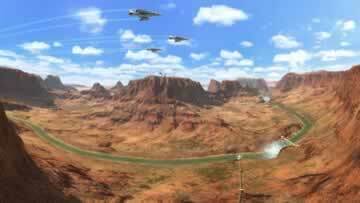 Stop the Invaders from Xen All Over Again with Newly Revamped Graphics! The Greatest Shooter Ever Just Got Better! 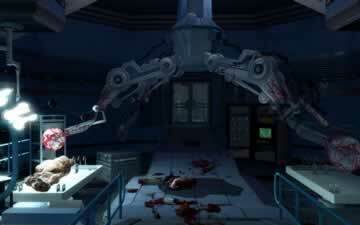 It’s time to return to the Black Mesa Research Facility. After nearly a decade spent in development by a crack team of devoted modders, the long-awaited remake of Half-Life is finally here! Featuring everything we all loved about the original game, from its constant use of set pieces, immersive brand of storytelling, top-of-the-line level design, and cunning enemy AI, it updates the experience with improved visuals brought to you by the one and only Source engine. Climb into your HEV suit and grab your crowbar; aliens are coming in through the portal and it’s your job to stop them all over again! New and improved graphics powered by Source and featuring far more up-to-date lighting, shadow and particle effects. The world of Half-Life looks more alive and detailed than ever before and everything about Xen and its inhabitants are even more alien. A modern physics engine that allows you to use anything and everything as an impromptu weapon. You can pick up whatever isn’t bolted to the floor and throw it for hopefully deadly results. New storyline elements and characters that tie the original game in with the sequel. Keep an eye out for familiar faces like Dr. Eli Vance, Isaac Kleiner and more! Revamped, redesigned and more polished levels. An all-new soundtrack and newly recorded voices for every single character. The action never stops in Black Mesa. It draws upon the foundation that Half-Life built and improves upon it with better processing power and a greater sense of balance. Face scores of classic Half-Life enemies with new and improved character models and animations, including headcrabs, zombies, Marines, Black Ops Assassins, Vortigaunts, Icthyosaurs, Gargantuas and more! Enemies fight intelligently and all have different attack patterns. Zombies may come at you suicidally, but expect Marines to employ flanking maneuvers, cover tactics, suppressive fire, flushing grenades, and so on. Arm yourself with every single type of weapon from the original game, from the handy crowbar, to the Colt Python, to the MP5, to the bizarre alien Hivehand. Every enemy and weapon has been rebalanced for additional challenge and fairness. There’s more to Black Mesa than just slam-bang action. You’ve also got to solve hundreds of different puzzles from beginning to end. Hurl lit flares at zombies to light them on fire until you can get a better weapon. Carefully handle missiles as you load them into a turret and fire them at an attacking VTOL. Navigate your way along pipes as you descend down deep chasms. Whether or not you played the original Half-Life, Black Mesa is a title that should absolutely warrant your attention. In fact, there’s no reason to not at least check it out. The game is completely free and doesn’t require you to spend a single cent anywhere. Just download the game as well as the free Source SDK and you’re all set! Half-Life was one of the best shooters of 1998 and Black Mesa helps it withstand the test of time.